Toxic spills aren’t limited to the environment. They happen inside the body, too, whenever chemotherapeutics slosh beyond the tissues they are meant to target, causing sickening side effects. Encouragingly, it looks as though chemo spills could be prevented by a “drug sponge.” A drug sponge is a 3D-printed cylinder that has had its surfaces, including those of its internal nooks and crannies, coated with a chemo-absorbing polymer. Because the drug sponge is 3D printed, it can be made to fit snugly within a vein that carries the blood flowing out of a target organ—the liver in liver cancer, for example. The drug sponge concept has been introduced by scientists based at the University of California (UC), Berkeley. They have demonstrated that in pigs, a polymer-coated drug absorber prototype can take up, on average, 64% of a liver cancer drug—the chemotherapy agent doxorubicin—injected upstream. Balsara and his colleague, Steven Hetts, an interventional radiologist at UC San Francisco (UCSF), are corresponding authors of an article that describes the fabrication and deployment of the drug sponge. The article, titled “3D Printed Absorber for Capturing Chemotherapy Drugs before They Spread through the Body,” appeared in the journal ACS Central Science. The drug sponge, the article continued, is designed for deployment during chemotherapy using minimally invasive image-guided endovascular surgical procedures. Hetts, the chief of interventional neuroradiology at the UCSF Mission Bay Hospitals, treats tumors of the eye and brain by threading catheters through the bloodstream to deliver chemotherapy drugs directly to the site of the tumor. This delivers the maximum dose to the tumor and the least dose to the rest of the body, minimizing side effects. It is a vast improvement over injecting chemotherapy drugs straight into the bloodstream, which allows the drugs to reach and poison every part of the body and gambles on the tumor succumbing before the patient. Nevertheless, typically more than half of the dose injected into the body escapes the target organ. 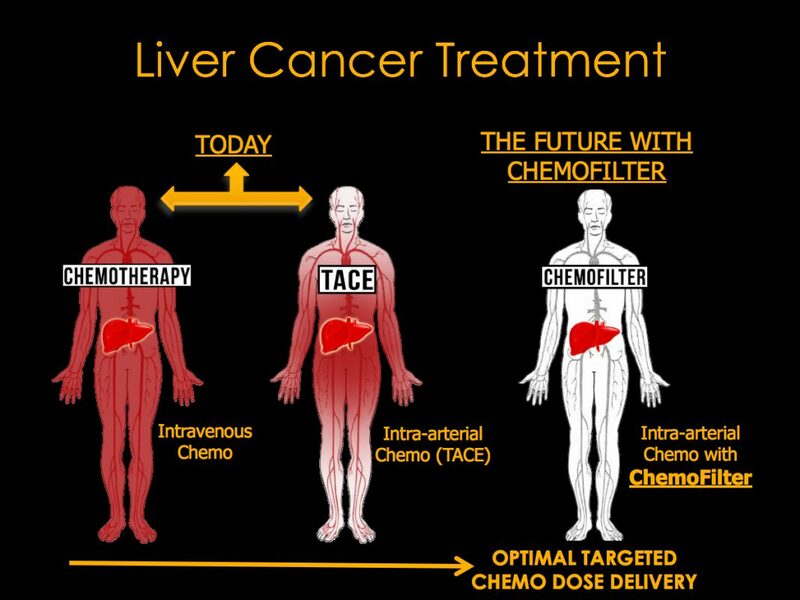 Several years ago, Hetts started thinking about a major improvement: filtering the blood coming out of the targeted organ to remove excess chemo so that much less of the drug reaches the body as a whole. Balsara, a chemical engineer who specializes in ionic polymers for batteries and fuel cells, is one of the people Hetts approached to find a suitable absorber to put in the bloodstream. In 2016, former UC Berkeley and Berkeley Lab postdoctoral fellow Chelea Chen identified an ionic polymer, not unlike polymers used in fuel cells, that efficiently absorbed doxorubicin. That polymer led Balsara’s team to a commercial version of the absorbent polymer that was easier to obtain in large quantities, and Berkeley postdoc Hee Jeung Oh spent more than a year perfecting a way to adhere the polymer to a 3D-printed cylinder with crisscrossing struts that could be placed inside a person’s vein. The scientists are currently in the midst of experiments to determine how much drug is absorbed when the device is implemented at the exit of a healthy pig liver, though the true test will be in humans, perhaps in a couple of years. Hetts said that the technique is superior to another liver cancer treatment now undergoing testing, which requires major endovascular surgery to completely block the outputs from the liver with balloons and divert the outflowing blood to an external dialysis machine, where the drug is removed and the blood returned to the body. “There is a lot of opportunity to develop less-invasive devices that will bind up the drug in a gentler manner,” he emphasized. Drug sponges could be applied to many types of tumors and chemotherapy drugs, Hetts pointed out, and could potentially be used to sop up other dangerous drugs, such as high-powered antibiotics that are toxic to the kidneys but required to kill a pathogen.